Unless you live in Hogwarts School of Witchcraft and Wizardry, virtually all bathrooms come with straight walls and corners. Indeed, the most common bathroom shape is a rectangle, resulting in 4 corners which often get neglected when choosing your bathroom furniture. However, far from being dark, gloomy and under-utilised, corners can be turned to your advantage. 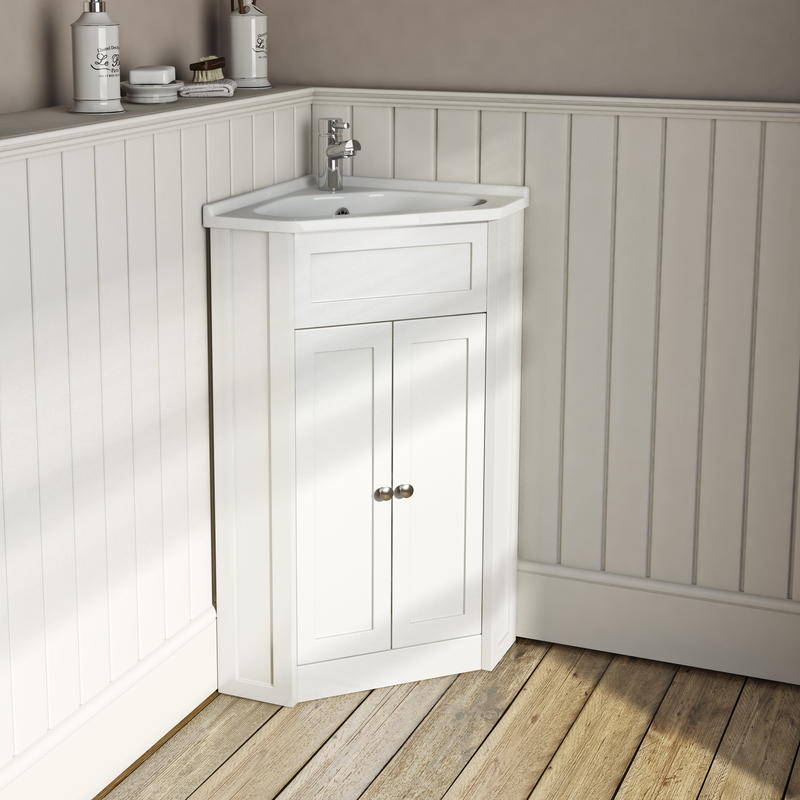 As well as corner fitting toilets, you’ll find plenty of corner basin options, including vanity units, which give you an added storage option for your bathroom, ensuite or cloakroom. Another way to make optimum use of your corner spaces is to consider fitted bathroom furniture. Most commonly found in kitchens, fitted furniture can provide a stylish, seamless look to any bathroom with a countertop which fits into an L-shaped layout. The mainstay of many a family bathroom, the humble mirror cabinet does so much more than reflect your image. Available in a wide range of sizes, mirror cabinets are ideal if you have younger, and typically inquisitive, children. It allows you to store potentially harmful items like medication and cleaners away from small hands. A mirror cabinet is also great for concealing those expensive luxury toiletries which you definitely don’t want your little darlings adding to their latest “potion”. One headache many people suffer when furnishing a bathroom is trying to squeeze a basin and toilet next to each other. There are clearance guidelines when it comes to these items, which can often be ignored in compact spaces, leading to an uncomfortable and claustrophobic experience. A clever way to overcome this issue is to make use of a combination furniture unit. 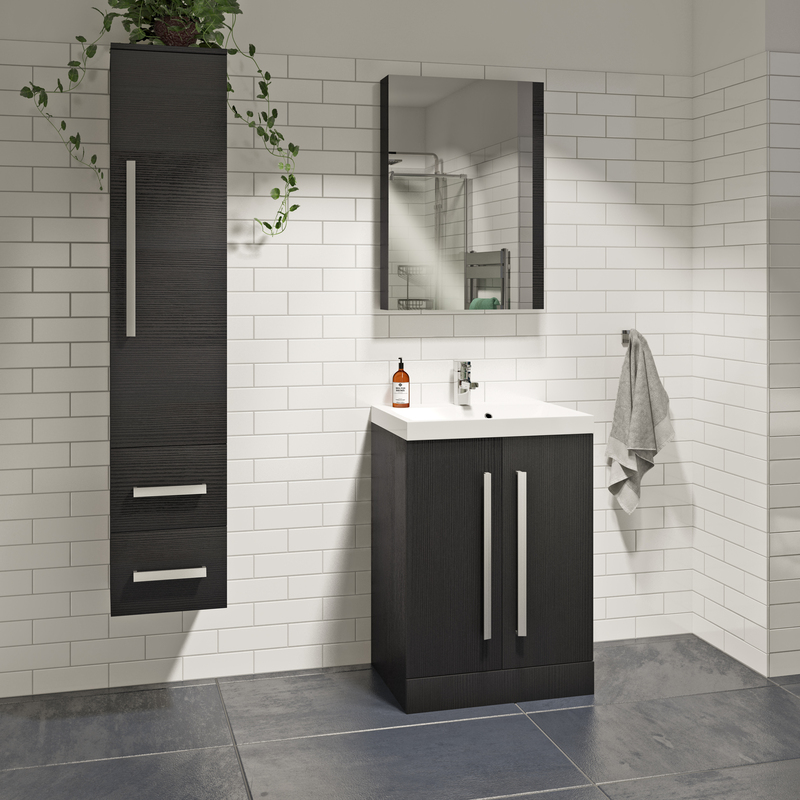 Usually containing a vanity unit with basin and back to wall toilet unit, this provides a seamless run of furniture which looks stylish and conceals all your unsightly plumbing. 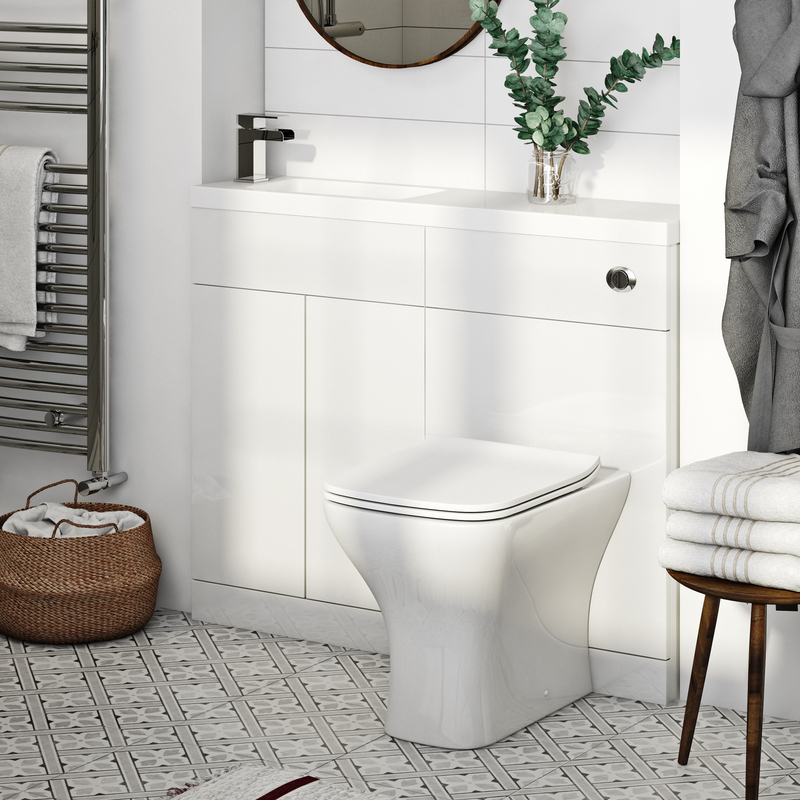 If you’re trying to do the same in a long, narrow cloakroom, you could potentially add a small, wall hung basin (a suitable distance from the toilet), or, you could even purchase an all-in-one toilet and basin unit which does away with the need for separate pipework. Whilst you may not have much in the way of wall space, you can take advantage by expanding your storage space upwards, towards your ceiling. A tall cabinet, whether wall hung or floorstanding, needn’t take up much width or depth, but can offer useful space for towels, toiletries and more. Keep an eye out for adjustable shelves, which allow you to tailor each unit to your individual needs. Just make sure any floorstanding units are securely attached to the wall, to prevent any mishaps from occurring. It’s one of the most welcoming sights when you step out of your bath or shower: a nice, big, fluffy towel waiting to envelop you with warmth and comfort. Therefore, it pays to ensure your bathroom has enough hanging space for all your requirements. You can achieve this by adding a heated towel rail or simply attaching a rail above your existing radiator. If you also like to keep bath robes in your bathroom, a robe hook on the back of the door is a good idea. If you lack places to store clean towels (which is especially important when guests are staying), why not add a towel rack to your wall? With these space-saving bathroom furniture tips, you can easily turn a small bathroom into one that works for you.